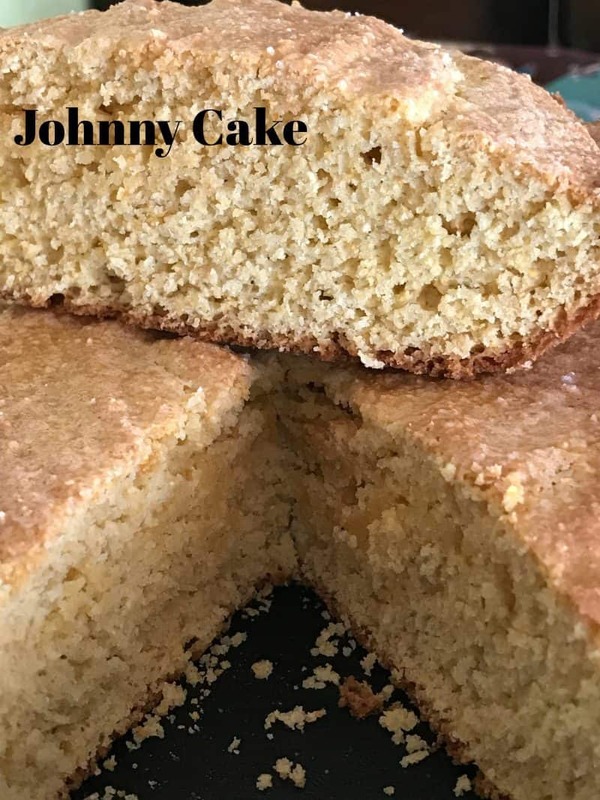 Johnny Cake were originally called “journey cakes” because they could easily be carried on journeys and still taste as good at the end of the trip as at the beginning. Simple and nutritious, this recipe was also standard fare in the logging camps of northern Wisconsin. The lumberjacks often ate johnny cake as individual cakes smothered with locally produced maple syrup. 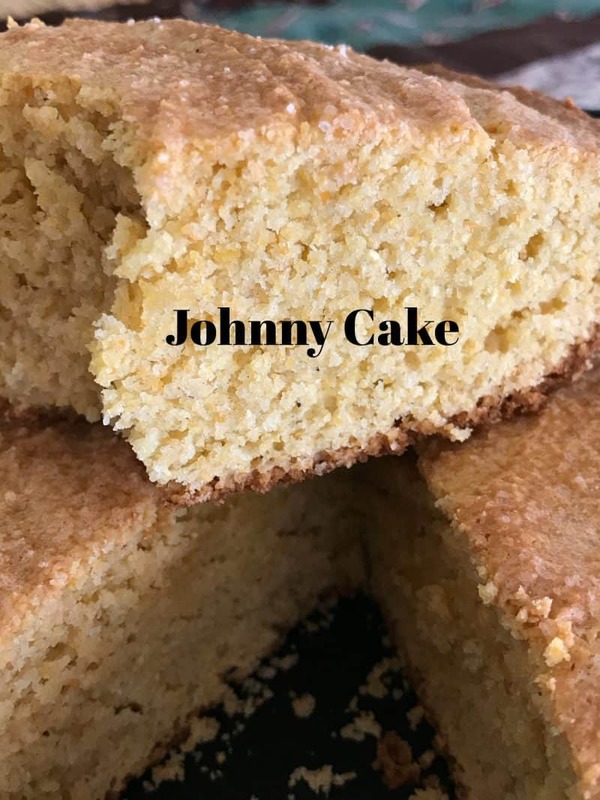 Johnnycake; Johnny Cake; or Jonnycake. Said to be the pancake’s precursor, the johnnycake dates back to the early 1700’s. It’s a rather flat griddlecake made of cornmeal, salt and either boiling water or cold milk; there are strong advocates of both versions. Eggs, oil or melted butter or fat and leavening such as baking powder are also often added. Some renditions are oven-baked, more like a traditional cornbread. Also called hoe cakes or hoecakes. An all-American quick bread that substitutes cornmeal for most or sometimes all of the flour. It can include various flavorings such as cheese, scallions, molasses, chopped green chilies and bacon. Cornbread can be thin and crisp or thick and light. 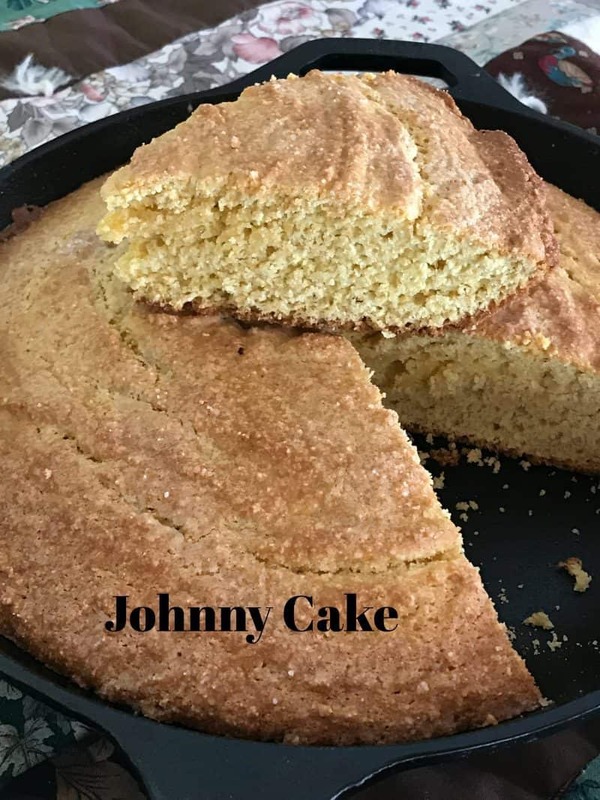 Johnny cake or cornbread is often baked Southern-style in a cast-iron skillet/pan made by Lodge or in a shallow square, round or rectangle baking pan. Some of the more popular corn breads are Hush Puppies, Johnnycakes and Spoon Bread. Cornbread can also be baked into muffins and even scones. 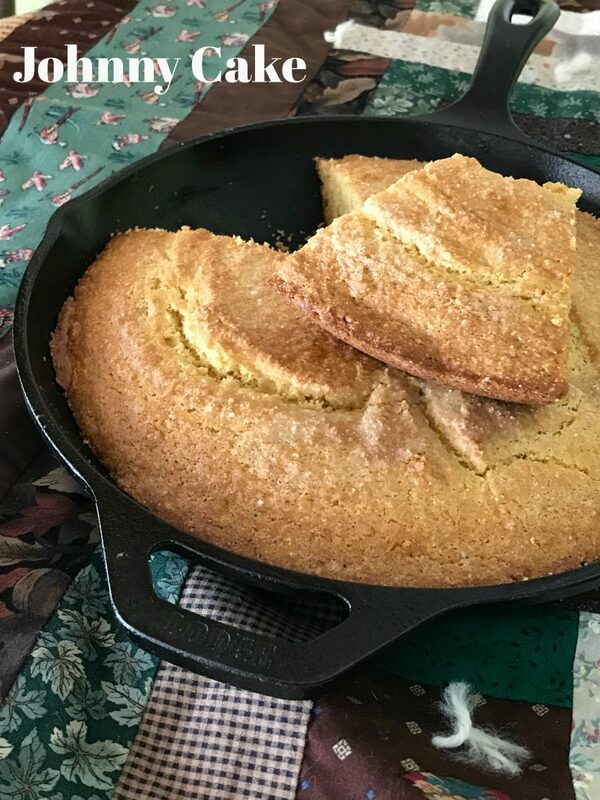 A delicious way to eat cornbread! Sift together dry ingredients. In a separate bowl, beat together egg, melted fat or lard, and sour milk or buttermilk. Combine liquid and dry ingredients with a few rapid strokes. Turn into greased cast-iron skillet or 9 x 9-inch baking pan. Sprinkle top of batter with sugar. Bake in a 425 degree oven 20 minutes. Serve with butter, maple syrup or jam. *If necessary, stir 1 teaspoon vinegar or 2 teaspoons lemon juice into milk to sour.